Best Downtown location. Comfortable and bright. 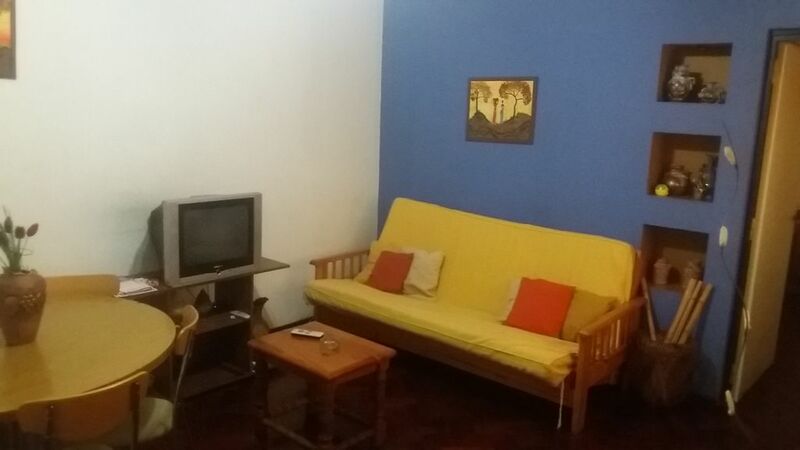 1 bedroom with double bed and living room with futon. Fully equipped: kitchen, stove, microwaves, Wifi, AC / heating Direct TV, bed linen and towel / towel set for c / pax. Optional garaje. Located to 150 mts to KM0. Perfect for couples who visit our city with or without car, near the most important places to visit and starting points for excursions.